Graphically, both games are pretty strong. They're not like most Free2Play games, where an almost prehistoric engine is used Looking at how your character and the environment is drawn, Allods has a more cartoonish style than Runes of Magic, though Runes of Magic overused the bloom effect a bit too much to my likings... Personally, I think they both can match them self with AAA titles like World of Warcraft and Aion: the Tower of Eternity, just to name a couple. Then looking at the map, both games give locations of where to go. 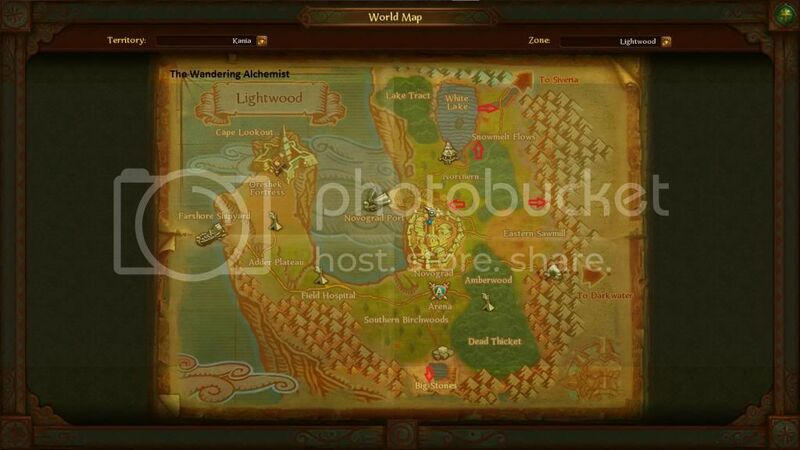 In Allods you'll get a rough location of where your objective is or the exact location of your contact. A good thing is that quest givers are not shown on the map, unless you're real close to them. 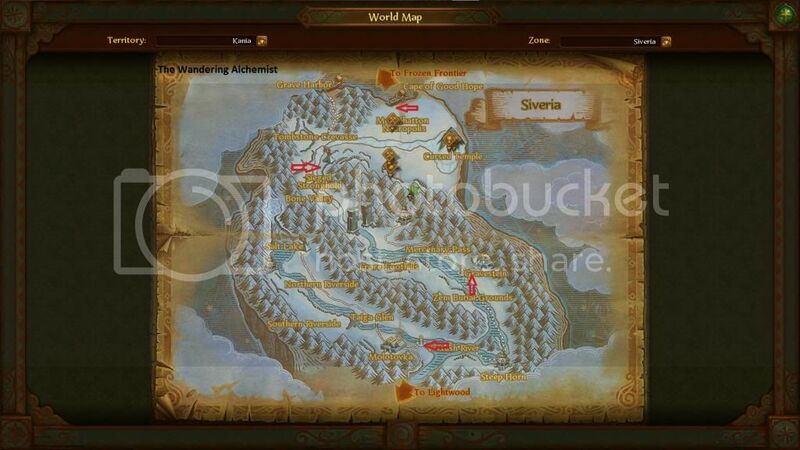 In Runes of Magic, only quests givers and turn-in points for quests are shown on the map. Most locations of objectives are not there and you should read the quest description (so follow the highlighted texts in the quest). Then there's the raid thing... Where in Runes of Magic you can solo a raidboss when you're about 3 levels higher (speaking of LAME ), in Allods the raidbosses are exactly the other way around. Those raidbosses are wat too overpowered, and even when you're about 5 levls higher, you still need a good party to make sure you won't die from a critical hit of the boss. Here's a good idea to combine two events into great profit. Right now, the Quest for Chests is running for Allods, allowing you to win item shop items. I did win over 20 Incenses by now, allowing me to boost my skills a lot I sold half of them, and the other half I'll keep to use myself. Then there was the Radiant Strongbox even last week as well. It allowed you to win a special mount. I bought 10 of those boxes hoing to have some luck, but I didn't. Instead I won (amongst others) 4.000 Myrrh. At first I was like WTF do I have to do with that? Now that the Fear of Death is removed, the Myrrh has become somewhat obsolete in these large quantities. Then I remembered the large amount of incenses and came up with an idea. I started to use my Myrrh Salvation skill (very strong healing skill using 1 Myrrh) overly. And when I say overly, I really mean it. The skill has a cooldown of 30 seconds and every 5 minutes I used it at least 6 times. Now what's the use of that I hear you think. Easy... Using the Myrrh Salvation skill boosts your Patronage experience with 5 points. And every level, the attribute your Patronage supports is listed with one. After hunting that Wandering Alchemist for over 8 hours in total, I've finally given up on it. Reason is that the amount of elixirs he gives and the time I'm putting into the hunt doesn't match the reward for the quest. I HATE that Wandering Alchemist! And to make things worse, there's the feed problem. The only way to get it is through the item shop as well. I'm not sure if feeding the horse is a must (I hope not), but it does give a speed bonus when feeding the horse. Where Master Toma would stay on his spot for about half an hour, the Wandering Alchemist stays on his spot till you talk to him. He then gives you a vial (you need three of them) and disappears immediately. Because of this, I searched the net and made a map where you can find him. Heya, The Wandering Alchemist appears in certain places; League: Lightwood: Novograd: at the resurrection chapel outside the north gate Sawmill/Treasure: near the treasure spot on the hill. Big Stones: in a tent on the east side of the area Oreshek Camp: by the yellow crystal White Lake: near the waterfall at the border between Lightwood and Siveria (if not on bridge, check behind a bush near the cliff-side overlooking White Lake north of bridge or draw a line north from the 'n' in the word 'Snowmelt' on map and head to that spot.) Siveria: Molotovka: next to the rafter gibberlings on the docks. Salt Lake: in the building next to the resurrection chapel Gravestein: on the docks. Sieged Stronghold: next to the reputation quartermaster Cape of Good Hope: wandering around the camp. Doing some of my quests, I came across a rock that seemed to have a treasure buried underneath it. Curious as I am, I took a look and found an iron chest under that pile of stone. Opening the chest, I found a crossbow in it, the Crossbof of Kania. Before I realized what happened, I was on a different place and disoriented (real life that is...) and found myself somewhere below the ground. Good thing, I still had my target, and I killed it.